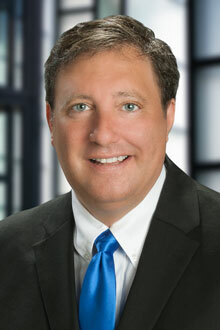 David M. Hawthorne is a partner in the Fort Lauderdale office of Lewis Brisbois and a member of the Complex Business & Commercial Litigation Practice with first chair trial and arbitration experience. A trial lawyer for more than two decades, Mr. Hawthorne has litigated matters in both federal and state courts throughout Florida and the U.S. His complex commercial litigation practice focuses on construction, real estate, and landlord/tenant litigation. Mr. Hawthorne also has extensive experience in mass/toxic torts, including mold, and asbestos and benzene defense, as well as products liability defense, with a focus on medical devices and pharmaceuticals. Further, Mr. Hawthorne has substantial experience in Aviation Law, as well as Consumer Finance Litigation. Mr. Hawthorne is a frequent lecturer on both commercial and residential landlord/tenant topics, and represents both commercial and residential landlords and tenants. His construction practice includes representation of developers/owners, design professionals, prime contractors, subcontractors, and materialmen, on areas including design defect, construction lien law, contract disputes, and professional negligence. Having excelled in Aviation Law and performing an independent study for his Aviation Law Professor, Mr. Hawthorne worked in house for an aviation company prior to entering private practice. Mr. Hawthorne later parlayed that experience to multiple aviation-related matters for his prior firm. Mr. Hawthorne has also tried and arbitrated a variety of complex commercial cases, has taken and defended hundreds of depositions of both fact and expert witnesses, and oversaw and supervised the defense of thousands of asbestos-related lawsuits for multiple companies throughout Florida and in the federal MDL. Finally, Mr. Hawthorne has experience with class action defense in both the toxic tort and consumer litigation context.